Update, November 30: The Norwegian high school team’s Rainbow Six Siege run begins today. You can find info on how to keep up with them at the bottom of this article. 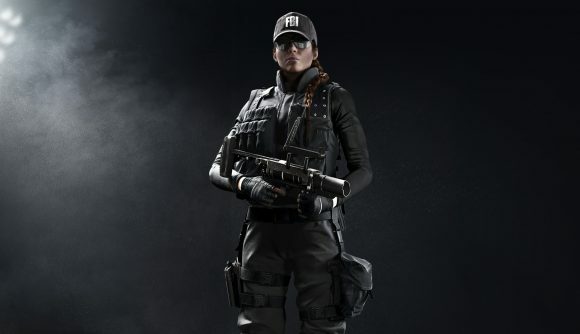 Since its launch in 2015, Rainbow Six Siege has developed a pretty successful esports scene. The game’s Pro League features several veteran organisations, while the finals – which took place in Brazil – saw teams from across the world fighting it out for a $275,000 prize pool. That’s why the latest entrants to the tournament taking place at Dreamhack Winter this weekend are so surprising. Earlier today, Reddit user EmilBerglund posted to the Rainbow Six Siege subreddit with an entry entitled “I guess I’m a pro now.” The user is a Counter-Strike: Global Offensive player, who competes for his Norwegian Folk High School in the fourth division of the country’s Telenorliga esports league. That was the plan, at least, but it’s not really worked out that way. The tournament, which is set to feature G2 Esports, Penta, and Team Liquid, would have seen those major organisations face off against four amateur teams from those open qualifiers. Unfortunately, however, not enough teams signed up for the qualifiers to warrant running an entire tournament. The team are all pretty experienced when it comes to Valve’s FPS – when I spoke to him, he told me “we all have 2000+ hours and we play everyday.” By contrast, some of them barely know what they’re doing when it comes to Rainbow Six. One player has a respectable 500 hours, while another has around 100, meaning they both have reasonable knowledge of the maps and operators. EmilBerglund himself has around 30 hours, but told me he hasn’t played since launch. The final two players on the team, however, each “have about three hours in game, and don’t really know what they’re doing.” To reiterate, these are people playing in a professional Rainbow Six tournament. The tournament has a $50,000 prize pool, with the winners taking home a cool $25,000 in winnings as well as a spot at the Six Invitation 2019. I think it’s fair to say that Minigolfgutta won’t get that far, but on the off-chance that they get through the first round, they’ll go home with $1,000 between them. Not bad for three hours of game-time. Dreamhack Winter’s Rainbow Six Siege event has begun, and Minigolfgutta will be playing Spacestation Gaming at 15:25 GMT. Sadly, not all games are being streamed, so sadly, I don’t believe you’ll be able to see them play. You can check out the rest of the stream on Twitch, and keep up with the team via its official subreddit. Happily, the team will get to play more than one game, as Dreamhack Winter also offers a Losers’ Round should they somehow struggle in the pro scene.